If you've been a reader of my blog for long you may have noticed I do NOT read or review a lot of middle grade fiction. I often find the writing style and stories to be too juvenile for my taste. A few months ago I was sent a unsolicited copy of The Truth: Diary of a Gusty Tween by Dr. Barbara Becker Holstein. Upon receiving it in the mail I decided to take a peek at the book, mainly because I loved the cover and title. I was very much intrigued also after seeing it was written by a Doctor. I read a couple pages, and a few more....and before I knew it I totally forgot about eating dinner, glancing up at the time to find I've been reading for over a hour. Guess what? I was 5 pages away from being finished. While yes the book itself is only a mere 176 pages it moved along quickly. I honestly only planned to read a few pages but ended up finishing the book in record time. IT WAS THAT GOOD! The story consists of diary entries being written by an 11 year old girl. She talks about her family, school, her friends, and her first crush, among many other random events. Her entries touch base along many normal but often difficult subjects for young girls. For instance, losing friends, family hardships, heartbreak, and sometimes just feeling misunderstood. I felt the author did a superb job at reaching out to young girls and touching upon many sensitive subjects that many tweens would be embarrassed to talk about. Growing up is never easy, for any age girl or boy. 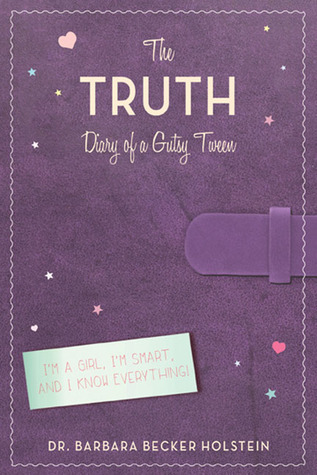 The Truth: Diary of a Gusty Tween reads as kind of a tool or helping hand if you will for all young girl growing up and who often feel clueless. I feel all Mothers should definitely read this book with or to their daughter(s). Every young girl everywhere should pick up a copy of this book! Beg you're parents of you have too. hehe ;) Even as an adult I totally enjoyed reading it! Reminds me a bit of the style of the Amelia books! I'll recommend this to the kids in my life. This book sounds wonderful. I don't have any children myself but I would sure recommend it to anyone I know that does.